When we picture migrations in North America, often we think of songbirds heading south for the winter. But there are lots of other animals that make seasonal treks on a large scale. Read on to discover some of nature’s most amazing phenomena. 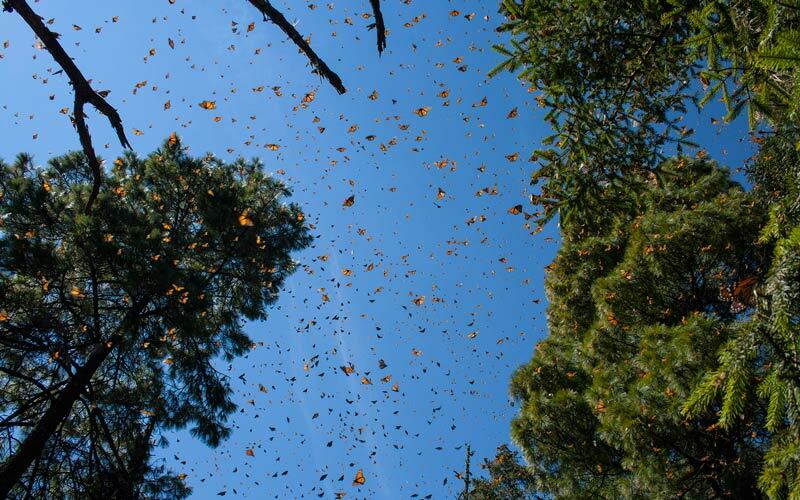 When and where: Starting in September and October, monarchs begin the journey southward from their breeding grounds in the U.S. and Canada east of the Rocky Mountains to about a dozen isolated sites in Mexico’s Sierra Madres Mountains. They begin the return trip in March. How far: The southward migration can be up to 2,500 miles total. One butterfly was recorded to have traveled 265 miles in one day! Did you know? The southward trip is made by a single generation; the northward trip is completed by multiple generations who live, breed, and die along the way. When and where: Most Ruby-throated Hummingbirds spend the North American winter in Mexico and Central America. They begin migrating south in August and September, and from March to May they make the return trip to the eastern and central U.S. and southern Canada, where they breed. Did you know? 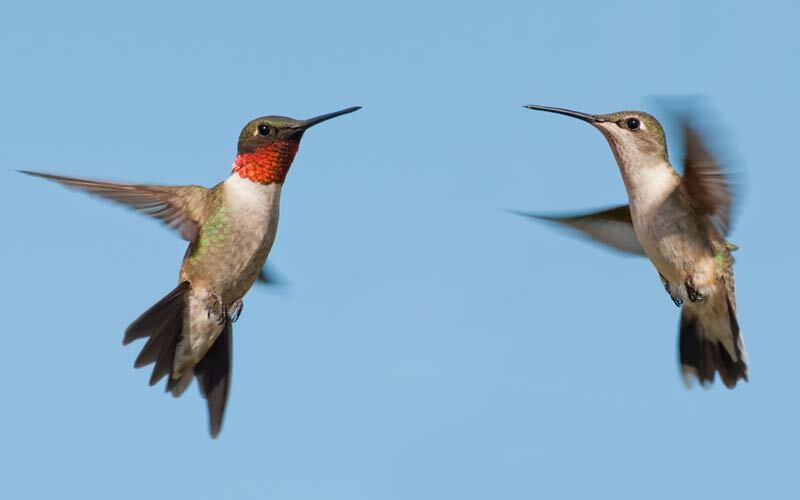 These hummingbirds can travel at an average rate of 25 mph. To cross the Gulf of Mexico, it takes about 20 hours non-stop, amazing given the bird’s small size! When and where: Each year in Tanzania and Kenya, wildebeest and other animals like zebras, gazelles, and impala migrate in a loop according to the wet and dry seasons, in search of food, water, and safe breeding and calving grounds. Did you know? 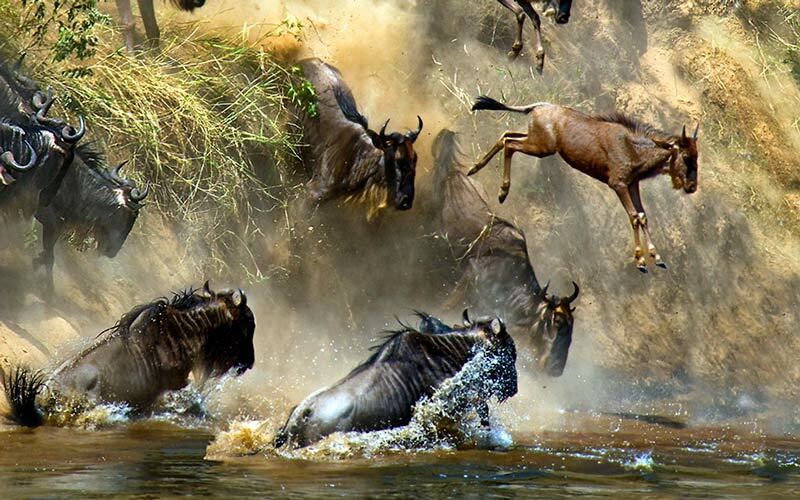 In addition to predators like crocodiles and lions, throughout their migration cycle, wildebeest face the threats of drowning while crossing rivers, starvation, and thirst. 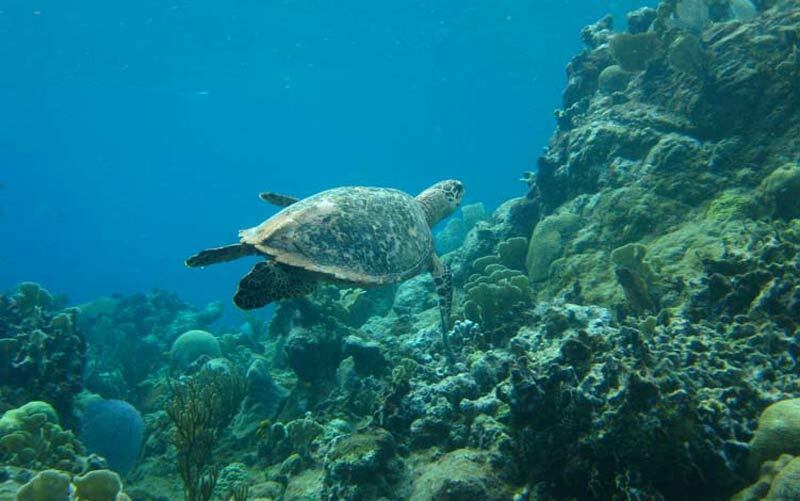 When and where: Green sea turtles are found all over the world in temperate and tropical waters, usually near the coastline protected bays. They migrate from their feeding grounds to nesting beaches. The breeding season takes place in late spring and early summer, and females lay their eggs a few weeks after mating. Did you know? Year after year, female turtles return to the same beach on which they were born to nest.